Orange launched its much-vaunted banking service after a four-month delay, in what the operator described as a “key element” in its diversification strategy. Announcing availability of the service, the company set a target of 2 million customers for the platform by 2027 – a less ambitious aim than the 2 million in six year to seven year timeframe touted by Orange delegate CEO for finance and strategy, Ramon Fernandez, back in May. Orange Bank will provide a complete range of high-street financial services with a mobile-only strategy. Growth opportunitiesOrange’s expansion into financial services offers “significant growth prospects,” the company said in a statement. During 2018, the company aims to achieve revenue of €400 million across the mobile financial services sector, which includes its offerings in developed and developing markets. Orange Group already has a customer base of 34 million for mobile money services across its operations in Africa and the Middle East. It also provides NFC point of sale payment service Orange Cash to 500,000 customers in France. The creation of Orange Bank follows its acquisition of a controlling stake in Groupama Banque in 2016. 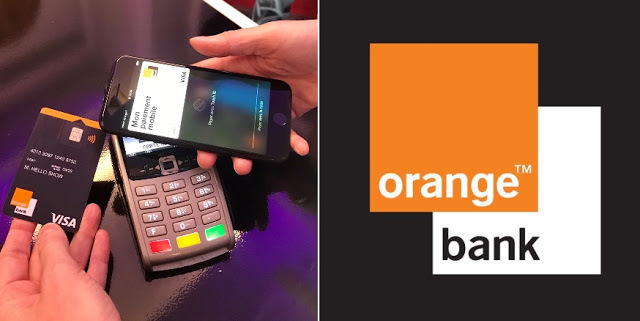 Orange plans to expand Orange Bank throughout its developed markets, with Spain and Belgium cited as possible follow-up countries after France by delegate CEO Gervais Pellissier at the company’s original announcement in April. Commenting on today’s launch, Orange chairman and CEO Stephane Richard said: “This is an important new chapter in our history,” adding the mobile-only bank is “dedicated to providing an incomparable user experience”.